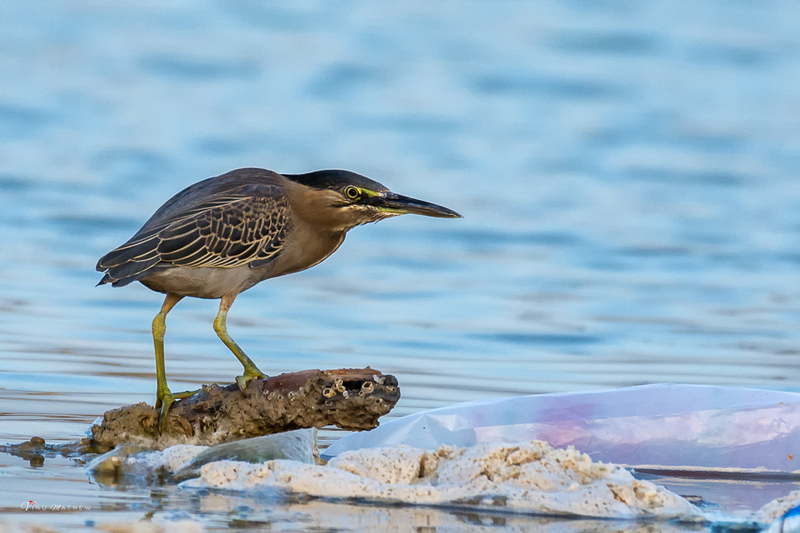 Vinu Mathew found the fifth Striated Heron for the Eastern Province along the seafront of Dammam cornice on 13 January 2017. 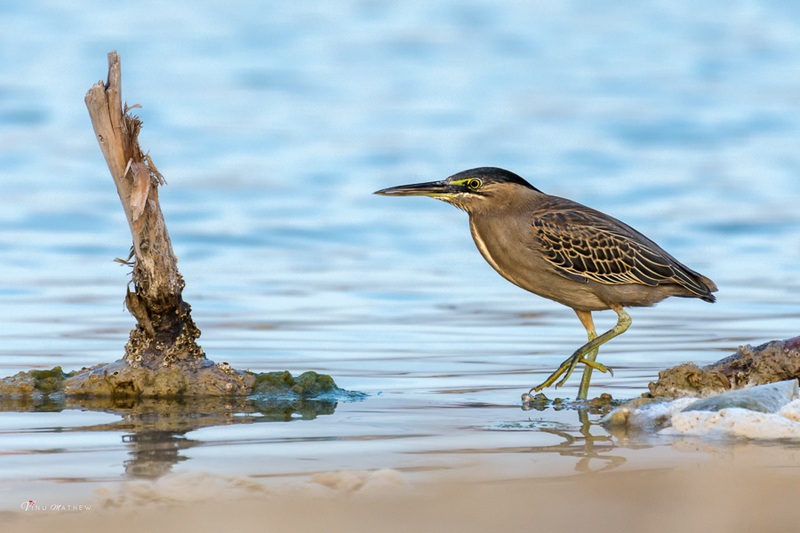 Striated Heron is a common breeding resident on the coasts of the Red Sea but is a vagrant to the northern part of the Arabian Gulf including the Eastern Province. Eastern Province records include one remarkable inland record of a bird at Sabkha 40 on 30 May 2010 in the huge desert of the Empty Quarter. This is a species usually associated with the coast of Arabia and had never been recorded this far inland before and was the first record for eastern Saudi Arabia. It would have had to be a migrant, but its position at Shaybah raises the interesting possibility that it had travelled across eastern Arabia from the Arabian Sea en-route to the Arabian Gulf. The only other Eastern Province records I know of were one in Al Fanateer marina, Jubail on 15 February 2014 and one on 7 June 2015 at Sabkhat Al Fasl, Jubail and one Dammam cornice on 12 February 2016. The increase in records in recent years means that birds are spreading northwards. 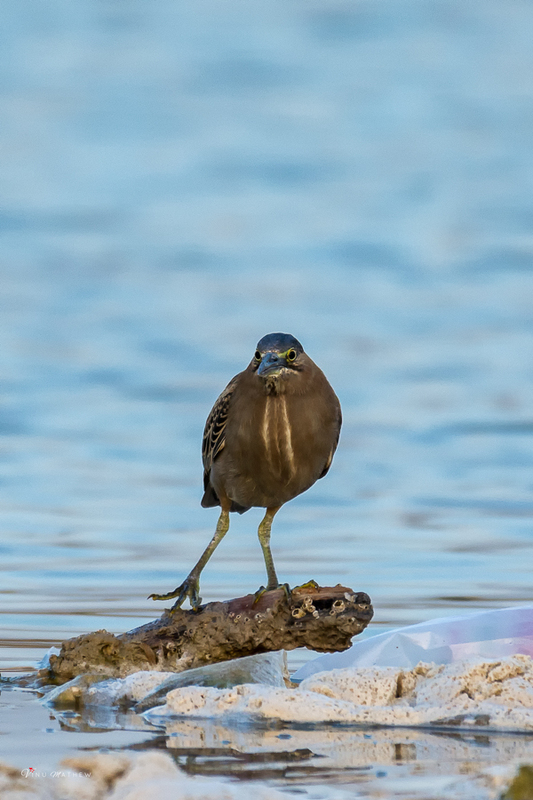 i thank Vinu for sending me the details of the bird as well as for allowing me to use his photos on my website.